Bring me the head of Big Tex, and put a Santa hat on him. Ho ho howdy folks. Following our guide to the best Christmas lights in Dallas last week, I found it. Not that it hasn’t been found before, but the head of Big Tex, bedecked in a Santa hat and leering down at you from the roof of a University Park home, is an even more striking image in person than it is in the news coverage that led you there in the first place. After being somewhat disappointed by the fare in Highland Park, I was especially thunderstruck. 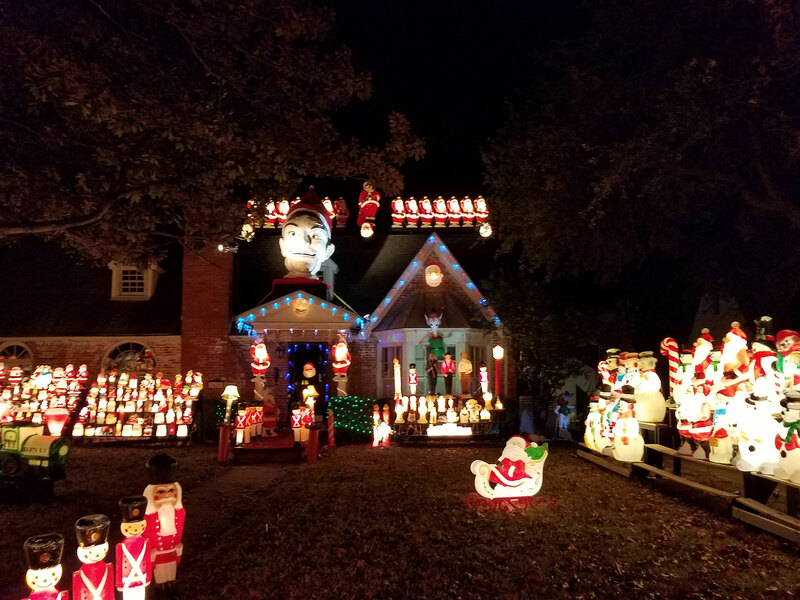 This was it: the single best Christmas light display in Dallas. There’s the head of the original 1949 Tex, of course, bought at an auction and rendered in his original form as Saint Nick. 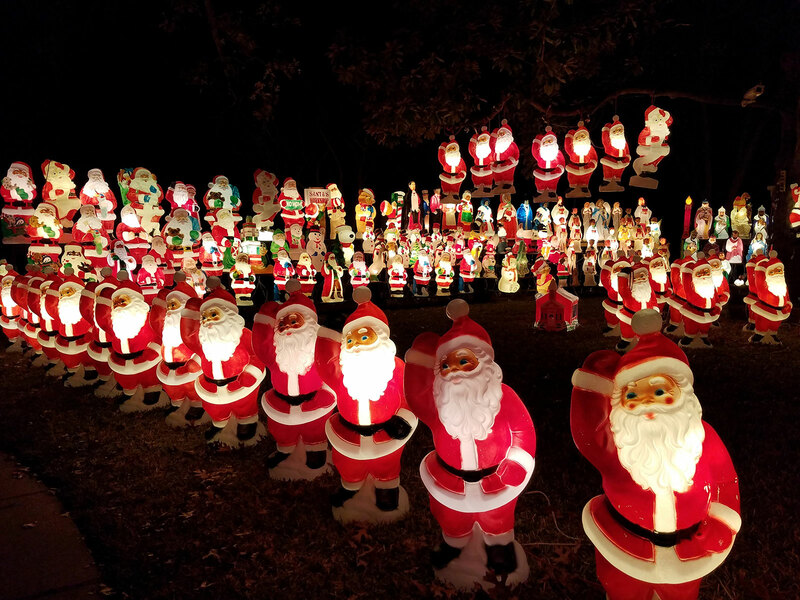 What seals it, though, are the dozens of Santa Clauses waving from the lawn, cheerful and ominous. If you listen closely, you can hear them jabbering high-pitched “ho ho hos” and whispering dark secrets to each other. Let it be official. If you and yours can only see one Christmas light display in the next week and a half, make it this one in the 3700 block of Southwestern Boulevard.